I first tried HANAH ONE on the Monday following Thanksgiving weekend. As red wine and carbs covered in gravy are not necessarily the backbone of a balanced diet, I needed all the help I could get come Monday morning, and I was stoked to see that my first shipment of HANAH had arrived over the weekend. HANAH’s herbal supplements — fronted by the herb ashwagandha, a dry-climate shrub that has been hailed for its healing qualities for, well, forever — were a welcome reprieve from the weekend’s total abstinence from anything one might call ‘healthy.’ Within just a few days of taking a spoonful per day, the mental ‘smog’ and lack of energy defining Monday’s carb hangover were long gone. HANAH is a supplement made up of 30 relatively obscure botanicals I’m not really able to pronounce, but the important thing is the ashwagandha and the ailments it is purported to remedy — namely, inflammation, lack of mental clarity, stress, low immune function and lack of energy. These are all, of course, common remedies when it comes to herbal supplements, but after only two weeks of once-a-day use, I felt noticeably more energetic on the day-to-day. Perhaps the greatest impact HANAH has had, though, is that it’s contributed to my feeling stronger for longer while touring or skiing hard in-bounds — and even better, I often feel a peculiar lack of soreness on days after prolonged activity. Sipping down one of the HANAH ONE Go Packs before or during high-intensity activities seemed to ease the detriment on my muscles; I didn’t do nearly as much pre-ski-season training as I’d hoped to, so my inclination is to give external factors — in this case, the ashwagandha and HANAH’s other ingredients — all the credit for my miraculously not-achy early-season muscles. 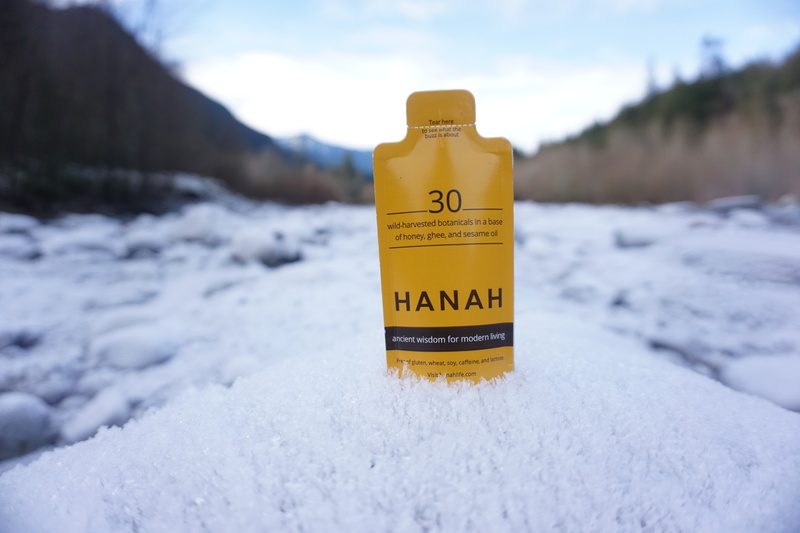 I also found the HANAH ONE supplement, which has a rich honey flavor with hints of chocolate and ginger mixed in, to be an easy and effective substitute for a cup of coffee in the morning. I experimented with replacing one cup a day with a serving of HANAH ONE, and after just a week I realized my desire for a coffee first thing in the morning was waning, despite HANAH having not a trace of caffeine on its ingredient list. Healing powers notwithstanding, what I immediately found to be HANAH’s most valuable attribute was its versatility. Sometimes I take it in the morning or just before noon to give me a little push of energy to finish a project before lunch, but my favorite time to use it is right before bed, and it has yet to make me feel nauseous or otherwise, whether I eat it right after a meal or with nothing else in my stomach. I use the pure ashwagandha — available in powdered form — in smoothies, coffee or tea, or as an easy and tasteless addition to prepared meals like stir fry or soups. 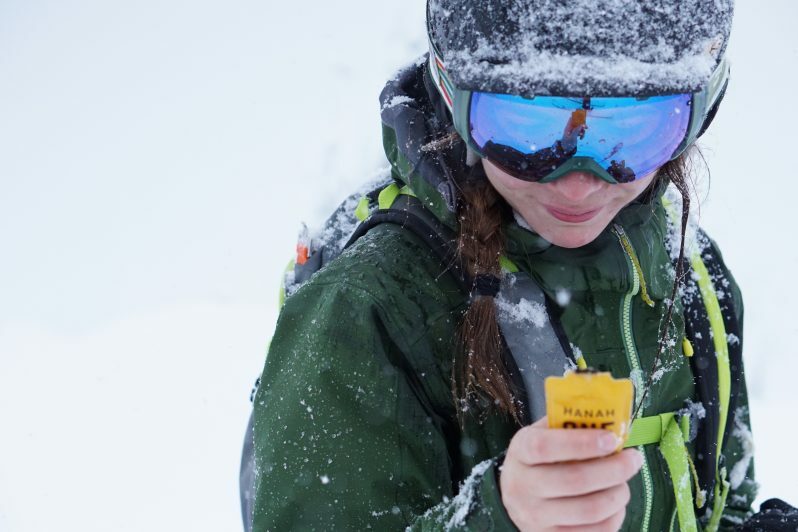 The single-serving HANAH ONE packs are usually tossed in my touring gear or fishing hip pack for a convenient energy boost on the river or after a few hot laps in the backcountry. HANAH ONE is also delicious on toast, dissolved in hot cocoa or eaten straight from the jar as a quick and jitter-less energy boost. HANAH ONE hot cocoa (recipe here) is something that I look forward to every night now, and is one of my favorite means of using the supplement — not to mention a welcome (and caffeine-free) alternative to a morning coffee or an evening cup of tea.